Step back in time to the days of Sir Isaac Newton. Have a hands-on experience with inertia and motion. Discover gravity and have fun as we push, pull, and get the job done! 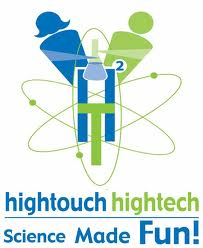 Brought to us by High Touch High Tech, a program that has fueled the imaginations of children everywhere since 1994 with fun, interactive, hands-on science experiments and nature experiences. They are SCIENCE MADE FUN! Questions? Please contact Tawnia Wise.